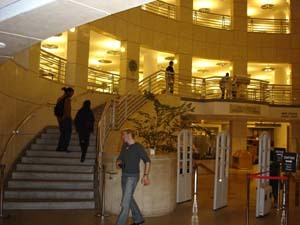 February 24, 2005: San Francisco's new main library, located in the Civic Center. 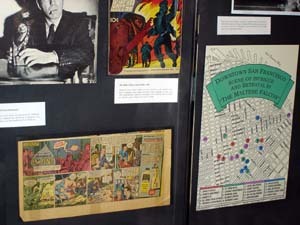 Across Fulton Street stands the old library (now the Asian Art Museum), where Hammett spent countless hours. 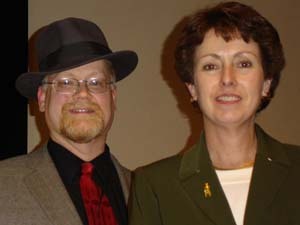 Julie Rivett, granddaughter of Dashiell Hammett, mesmerized the crowd with stories of her famous grandfather. 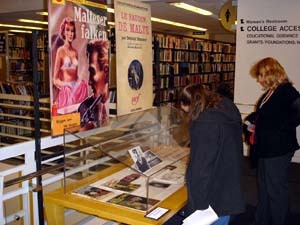 On the library's third floor, several glass display cases contained items pertaining to Hammett and The Maltese Falcon. 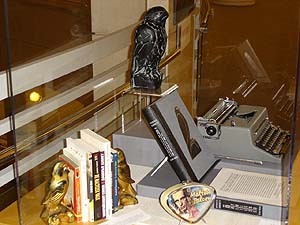 A replica of the falcon from the 1941 Humphrey Bogart movie, along with several rare editions and Hammett's own typewriter. 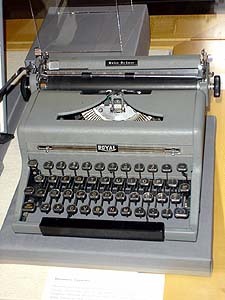 The typewriter, donated to the library by the Hammett family, is a Royal Quiet Writer portable. 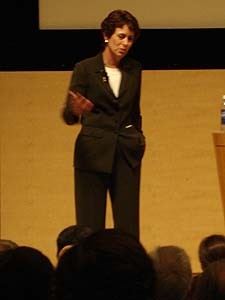 Julie Rivett remembers learning to type on it as a child. 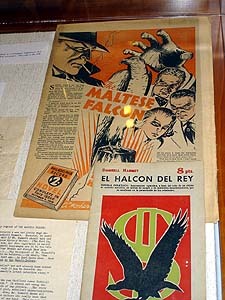 The Maltese Falcon as a syndicated newspaper serial. 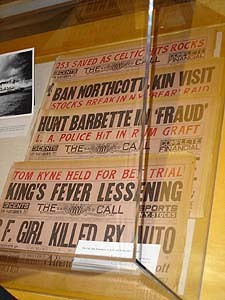 Issues of the San Francisco Call from the week in which the novel was set. 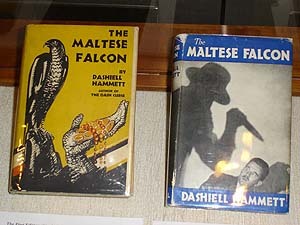 More rare editions, plus the five issues of Black Mask in which Falcon was originally serialized in late 1929. 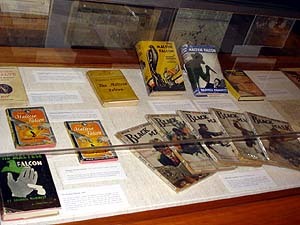 The American and British first editions. 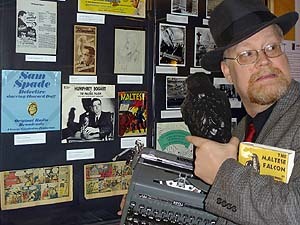 The British dust jacket photo has always amused Julie Rivett: "Nowhere in the entire novel is there a man with a knife!" 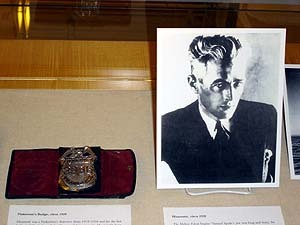 Hammett as he appeared during his Pinkerton Detective days, along with a Pinkerton badge from the same era. 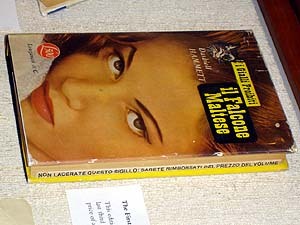 This Italian edition came with a unique warrantee: if you didn't like the story, you could get your money back, if you hadn't broken the seal on the last third of the novel. This copy still has the seal intact. "These are free samples, right?"